The all-new 2018 Jeep Wrangler will get official any day now, and before you know it Jeep fans will be able to buy one. We also know that a Wrangler truck is coming, and some new rumors about that truck have surfaced today. Word has it that that the truck could get a removable soft top just like the Wrangler Sport models offer. 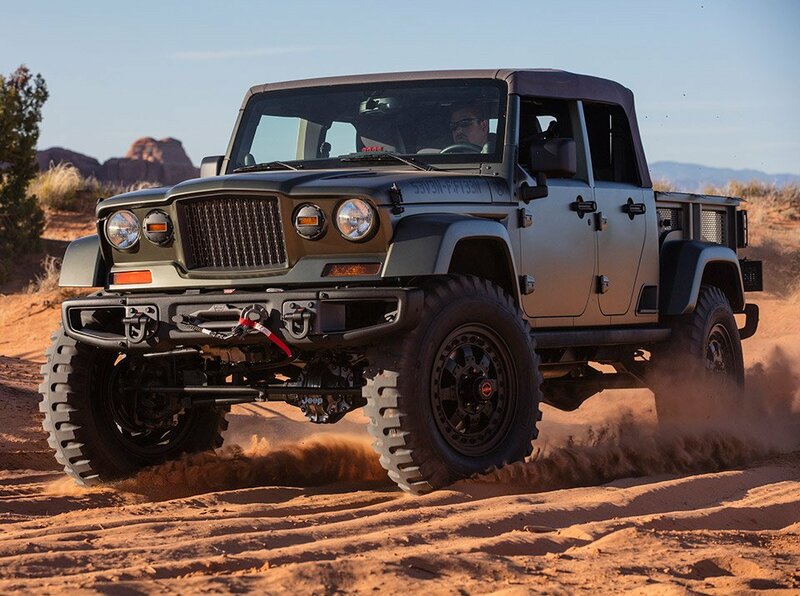 The same rumor also claims that the styling of the Wrangler truck might be inspired by that Crew Chief 715 concept that turned up at the Jeep Easter Safari last year. However, the front end of the production truck will almost surely feature the standard 7-slot grille that comes with the regular Jeep Wrangler. Previous reports have pegged the truck for a longer frame than the Wrangler Unlimited, and to get a diesel powertrain. I really do hope the Wrangler truck looks exactly like the 715. That concept looked fantastic.